Pickering is close to the Yorkshire Coast including Scarborough & Whitby. 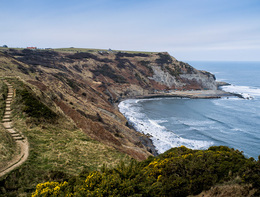 Pickering is located within easy reach of several of the North Yorkshire coast’s most popular destinations, with Whitby, Scarborough and Robin Hood’s Bay all accessible within 30 minutes by car. 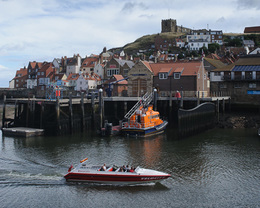 A popular tourist destination thanks to its breath-taking heritage coastline, stunning Abbey, long association with maritime explorer Captain Cook, and its strong literary links with Dracula - Whitby is a beautiful coastal resort. Railway, which runs a regular steam-train service. of the seaside. With bars, restaurants, a cinema and theatre, it’s also a great place to visit for an evening out. A small, historic fishing village with a historical reputation as a smuggling hotspot, Robin Hood’s bay it situated between Scarborough and Whitby, and offers a quieter, more picturesque alternative to the larger coastal resorts, it is also one end of Wainwright’s Coast to Coast walk.